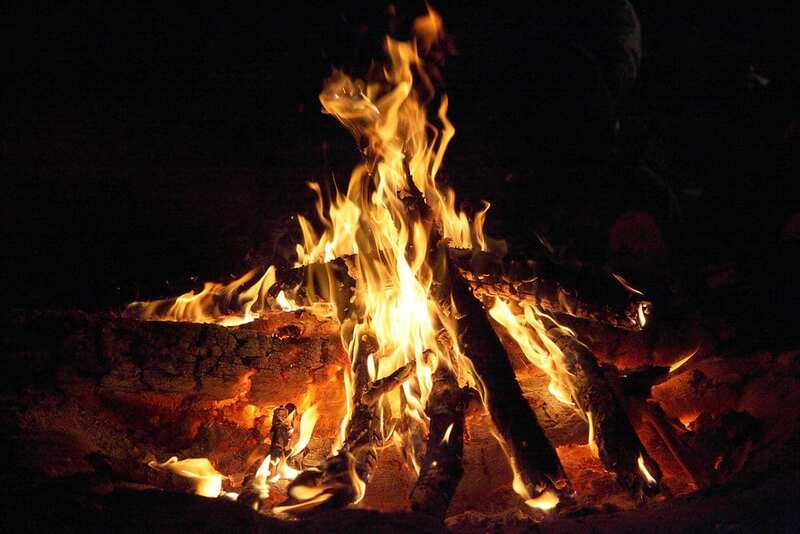 Campfire Storytelling at Thacher Nature Center Gather round a crackling fire to hear stories from storyteller Claire Nolan, who shares an entertaining mix of fairytales, legends and personal stories, 6:30 p.m. Bring a camp chair or blanket if you wish. S’mores fixin’s will be available. Materials fee of $1 per person. Call to register. Emma Treadwell Thacher Nature Center, 87 Nature Center Way, Voorheesville. Call (518) 872-0800 for more information. Become SmART in art with this creative summer series and have your art questions answered. Each session will investigate a creative concepts of modern art to explore how contemporary artists express their ideas and pose questions, 10:30 a.m. For ages 6 and older. Free for members; $5 per non-member child. The Hyde Collection, 61 Warren St., Glens Falls. For more information, call (518) 792-1761 or visit or visit hydecollection.org/family-programs. Children 3 and up work at their own pace and narrow in on the skills they most need, 2:30 p.m. All activities will count for the Rubber Ducky Club. Bethlehem Public Library, 451 Delaware Ave., Delmar. For more information, call 439-9314 or visit bethlehempubliclibrary.org. Also Wednesday. Learn what kinds of turtles live in the Pine Bush, where they live, and how they survive. Come and join us for a story, song, craft and live turtles, 10-11 a.m. For ages 2-6; register children not adults. Cost is $3 per child and $5 per family. Albany Pine Bush Discovery Center, 195 New Karner Road, Albany. For more information, call 456-0655 or visit www.albanypinebush.org. The Honest Weight Food Co-Op will teach us about creating healthy snacks, including smoothies, veggie and cheese kabobs, fruit dip, trail mix, and healthy soda, 6 p.m. Castleton Public Library, 85 S. Main St., Castleton-On-Hudson. For more information, call (518) 732-0879 or visit www.castletonpubliclibrary.org. Join us to make cool cardboard constructions on the front lawn using a MakeDo construction kit, 3-6 p.m. Castleton Public Library, 85 S. Main St., Castleton-On-Hudson. For more information, call (518) 732-0879 or visit www.castletonpubliclibrary.org. Discover the night skies with the Dudley Observatory Starlab from the Museum of Innovation and Science, 6:30-7:30 p.m. For kindergarten and up with families. Please register. Voorheesville Public Library, 51 School Road, Voorheesville. For more information, visit www.voorheesvillelibrary.org or call (518) 765-2791. Drop in and try out your best animal imitations and yoga poses. Complete the course and get a sticker, 10-10:45 a.m. For kids and families. Bethlehem Public Library, 451 Delaware Ave., Delmar. For more information, call 439-9314 or visit bethlehempubliclibrary.org. Bring your own scrap fabric or choose from ours to make a Boho chic accessory, 11 a.m. For ages 7 and up. Bethlehem Public Library, 451 Delaware Ave., Delmar. For more information, call 439-9314 or visit bethlehempubliclibrary.org. Play opponents and keep track of wins and losses for prizes, 2 p.m. Sign up online or call. For grades 1-5. Bethlehem Public Library, 451 Delaware Ave., Delmar. For more information, call 439-9314 or visit bethlehempubliclibrary.org. Experience a wide range of folk songs and ballads, both contemporary and traditional, including topical, spiritual, and humorous songs from Nan Hoffman, 1 p.m. Clifton Park-Halfmoon Public Library, 475 Moe Road, Clifton Park. For more information, call 371-8622 or visit www.cphlibrary.org. In this wild experiment, we’ll watch a crazy chemical reaction up close, 4-6 p.m. Castleton Public Library, 85 S. Main St., Castleton-On-Hudson. For more information, call (518) 732-0879 or visit www.castletonpubliclibrary.org. Children ages 12 to 36 months and their parents are invited to play and interact with others while using age appropriate toys, books and puzzles, 10 a.m. Clifton Park-Halfmoon Public Library, 475 Moe Road, Clifton Park. For more information, call 371-8622 or visit www.cphlibrary.org. Cool off on those hot summer days with a family-friendly film, 2 p.m. Popcorn and beverages will be provided. All movies are rated PG; no registration required. Children must be accompanied by an adult. Clifton Park-Halfmoon Public Library, 475 Moe Road, Clifton Park. For more information, call 371-8622 or visit www.cphlibrary.org. The arthropods make up the greatest number of living animals. Join science educator George Steele as we explore the leaf litter, tall grasses, bushes and trees for insects and their relatives, 2 p.m. Cost is $5/person, $15/family for members; $15/person, $25/family for nonmembers. George Landis Arboretum, 174 Lape Road, Esperance. For more information, visit landislive.weebly.com/2017-activities-and-events/pond-ecology or call (518) 875-6935. Bring your plain tees, socks, or anything else that needs brightening to the library and twist some color into your life, 1-3 p.m. Castleton Public Library, 85 S. Main St., Castleton-On-Hudson. For more information, call (518) 732-0879 or visit www.castletonpubliclibrary.org. Enjoy a family movie outdoors at Schodack Island State Park, 8 p.m. Co-sponsored by Castleton Public Library and Schodack Island State Park. 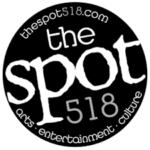 To find out what’s playing, or for more information, call 518-732-0187. Free event includes music, a bounce house, raffles, face-painting, balloon animals, and special guest Gem Vullo performing Disney and children’s songs, 2-6 p.m. Children are invited to dress as their favorite Disney character. Food by Wagon Train BBQ is $12 per person, free for children under 10 with a paying adult. Wagon Train BBQ, 671 Mariaville Road, Schenectady. Email [email protected] [email protected] for tickets. For more information, go to www.crossroadcenter.org. Enjoy a magic and puppet show with Jackie the Magician, 1 p.m. For ages 4-12. Please sign up. Rensselaer Public Library, 676 East St., Rensselaer. For more information, call (518) 462-1193 or visit rensselaerlibrary.org. Here’s a chance to get up close and personal with the trucks, farm gear, construction equipment, police vehicles, fire engines, and other unique vehicles that work in our community,10 a.m.-2 p.m. Event will be held at the Voorheesville Fire Department at 12 Altamont Road. Voorheesville Public Library, 51 School Road, Voorheesville. For more information, visit www.voorheesvillelibrary.org or call (518) 765-2791. Learn all about the monarch’s life cycle and their annual migration to Mexico, and find out what you can do to help this beautiful, yet imperiled butterfly, 2 p.m. Call to register. Emma Treadwell Thacher Nature Center, 87 Nature Center Way, Voorheesville. Call (518) 872-0800 for more information. Watch “Dr. Suess’ The Lorax” (2012) Rated PG for brief mild language, 10:30 a.m. and 1 p.m. Proctors, 432 State St, Schenectady. For more information, visit www.proctors.org or call (518) 346-6204. Through Wednesday. Beginner dance workshops for ages 3-6, 5:30-6:15 p.m. Baker School of Dance, 15 Glenridge Road, Glenville. Register at www.bakerdance.com. The Farm to Preschool Farm Stand offers a comfortable location for children and families to learn about and sample fresh fruits and vegetables directly from local farmers, 2:30 p.m. Cohoes Community Center, 22-40 Remsen St., Cohoes. For more information, call (518) 237-7523 or visit www.cdcccc.org/page/farm-to-preschool-31.html#sthash.mj6mNPgC.dpuf. Children entering grades K-3 are invited to stop in to craft some simple creations from a variety of materials, including recycled items, 1 p.m. No registration required; children must be accompanied by an adult. Clifton Park-Halfmoon Public Library, 475 Moe Road, Clifton Park. For more information, call 371-8622 or visit www.cphlibrary.org. A fun interactive workshop that allows parents/caregivers to spend special time with their children and help them to be successful in the teen years. Its goal is to empower families, 6-9 p.m. For grades 5-8 with parents/caregivers. Please register. Voorheesville Public Library, 51 School Road, Voorheesville. For more information, visit www.voorheesvillelibrary.org or call (518) 765-2791. Families with children ages 3 and older are invited to celebrate their Summer Reading with a “One-Man Circus-in-a-Suitcase” program and participate in a whimsical celebration of the imagination, 6:30 p.m. Clifton Park-Halfmoon Public Library, 475 Moe Road, Clifton Park. For more information, call 371-8622 or visit www.cphlibrary.org. A traveling pond from Dyken Pond will “splash” its way into our library with live fish, salamanders, frogs, and insects, 6 p.m. Castleton Public Library, 85 S. Main St., Castleton-On-Hudson. For more information, call (518) 732-0879 or visit www.castletonpubliclibrary.org. Come to a real campsite for tunes and tales around the campfire and a special snack, 6:30 p.m. Clifton Park-Halfmoon Public Library, 475 Moe Road, Clifton Park. For more information, call 371-8622 or visit www.cphlibrary.org. Listen to indoor introduction to bees and wasps and then examine them on the trail during a hike, 12:30-2 p.m. All ages. Cost is $3 per child and $5 per family. Albany Pine Bush Discovery Center, 195 New Karner Road, Albany. For more information, call 456-0655 or visit www.albanypinebush.org. A fun-filled and educational evening where soon-to-be-kindergarteners hone their kindergarten-readiness skills at activity/learning centers, 6:30-8 p.m. Please register. Voorheesville Public Library, 51 School Road, Voorheesville. For more information, visit www.voorheesvillelibrary.org or call (518) 765-2791. Learn all about caring for your teeth at this fun storytime with a visitor from the office of Dr. Starkman, DDS, 10:30 a.m. Castleton Public Library, 85 S. Main St., Castleton-On-Hudson. For more information, call (518) 732-0879 or visit www.castletonpubliclibrary.org. Start inside at the Discovery Center with a short presentation and then caravan to a different trailhead for a twilight hike, 7:30-9 p.m. For ages 6 and up. Cost is $3 per child and $5 per family. Albany Pine Bush Discovery Center, 195 New Karner Road, Albany. For more information, call 456-0655 or visit www.albanypinebush.org. Meet with your Pokémon Go app ready to play and get free wi-fi as you walk to the Four Corners looking for Pokémon. Adults must accompany children, 10 a.m.-noon. Bethlehem Public Library, 451 Delaware Ave., Delmar. For more information, call 439-9314 or visit bethlehempubliclibrary.org. Dudley Observatory astronomer Dr. Valerie Rapson will discuss eclipses in advance of the Aug. 21 event. Solar eclipse view glasses will be given out, 2 p.m. Sign up online or call. For grades 1-8. Co-sponsored by miSci. Bethlehem Public Library, 451 Delaware Ave., Delmar. For more information, call 439-9314 or visit bethlehempubliclibrary.org. Summer readers are invited to make cupcakes and celebrate the end of the reading program, 1 p.m. Rensselaer Public Library, 676 East St., Rensselaer. For more information, call (518) 462-1193 or visit rensselaerlibrary.org. Second Sundays in July and August will feature Family Day activities where all ages are welcome to join the museum education team in a creative group art making activity, 1-4 p.m. Artwork will be returned to the families following the conclusion of the display. The Hyde Collection, 61 Warren St., Glens Falls. For more information, call (518) 792-1761 or visit or visit hydecollection.org/family-programs. Discover the amazing world of antlions; a secretive insect in the Pine Bush, 1-2:30 p.m. All ages. Cost is $3 per child and $5 per family. Albany Pine Bush Discovery Center, 195 New Karner Road, Albany. For more information, call 456-0655 or visit www.albanypinebush.org. Watch “Boxtrolls” (2014) Rated PG for action, some peril and mild rude humor, 10:30 a.m. and 1 p.m. Proctors, 432 State St, Schenectady. For more information, visit www.proctors.org or call (518) 346-6204. Join us for an assortment of old-fashioned board games, card games, building games, 1 p.m. For ages 3-11. Clifton Park-Halfmoon Public Library, 475 Moe Road, Clifton Park. For more information, call 371-8622 or visit www.cphlibrary.org. Stop by the new Visitors Center at Five Rivers to learn about its environmentally friendly features, 6-7:30 p.m. For kids and families. Bethlehem Public Library, 451 Delaware Ave., Delmar. For more information, call 439-9314 or visit bethlehempubliclibrary.org. Blacksmith John Ackner will bring his portable forge to demonstrate basic blacksmithing and discuss the history of blacksmithing with all ages, 4-6 p.m. Castleton Public Library, 85 S. Main St., Castleton-On-Hudson. For more information, call (518) 732-0879 or visit www.castletonpubliclibrary.org. Join the Dudley Observatory and miSci to find out how can you safely observe the eclipse here in the Capital Region, 8-9:30 p.m. Amateur astronomers and families are invited to bring binoculars or telescopes. Free with regular admission of $5 for children, $8 for seniors and $10 for adults. MiSci, 15 Nott Terrace Heights, Schenectady. For more information, call (518) 382-7890 or visit www.misci.org. Also Wednesday. Come learn about these creatures, make an ant craft, and take a short walk where we will look for ants and their homes, 10-11 a.m. For ages 2-6; register children not adults. Cost is $3 per child and $5 per family. Albany Pine Bush Discovery Center, 195 New Karner Road, Albany. For more information, call 456-0655 or visit www.albanypinebush.org. Our Five Rivers friends return to the library to talk about all the ways foxes, owls, coyotes and other predators maintain a healthy habitat, 2:30 p.m. For kids and families. Bethlehem Public Library, 451 Delaware Ave., Delmar. For more information, call 439-9314 or visit bethlehempubliclibrary.org. Newbery award-winning author Lauren Wolk visits virtually via Skype after a potluck dinner to discuss “Wolf Hollow,” 6-8:30 p.m. For children in grades 5-8 and their parents. Please register and pick up a book at the Information Desk. Voorheesville Public Library, 51 School Road, Voorheesville. For more information, visit www.voorheesvillelibrary.org or call (518) 765-2791. Enjoy a fun, interactive show presented by our teen volunteer drama troupe, 4-4:30 p.m. For kids and families. Bethlehem Public Library, 451 Delaware Ave., Delmar. For more information, call 439-9314 or visit bethlehempubliclibrary.org. Stop by to take part in a fun scavenger hunt in the library, noon-6 p.m. Castleton Public Library, 85 S. Main St., Castleton-On-Hudson. For more information, call (518) 732-0879 or visit www.castletonpubliclibrary.org. Also Saturday. Introduce preschoolers to weather with an educator-led reading of “The Sun is My Favorite Star” by Frank Asch followed by some hands-on activities, 10:30-11:30 a.m. Cost is $5-$10 plus regular admission of $5 for children, $8 for seniors and $10 for adults. MiSci, 15 Nott Terrace Heights, Schenectady. For more information, call (518) 382-7890 or visit www.misci.org. After a short story time, head outside for a sidewalk chalk party in front of the library, 11 a.m. For children ages 3 and up accompanied by an adult. Clifton Park-Halfmoon Public Library, 475 Moe Road, Clifton Park. For more information, call 371-8622 or visit www.cphlibrary.org. A family friendly hike to investigate the different types of insects that live in the Pine Bush, 11 a.m.-noon. For ages 6 and up. Cost is $3 per child and $5 per family. Albany Pine Bush Discovery Center, 195 New Karner Road, Albany. For more information, call 456-0655 or visit www.albanypinebush.org. Watch “Curious George” (2006) Rated G, 10:30 a.m. and 1 p.m. Proctors, 432 State St, Schenectady. For more information, visit www.proctors.org or call (518) 346-6204. A total eclipse of the sun will traverse the United States of America, and you can experience this rare event at miSci with the Dudley Observatory’s Dr. Valerie Rapson, 1:22-3:56 p.m. Free with regular admission of $5 for children, $8 for seniors and $10 for adults. MiSci, 15 Nott Terrace Heights, Schenectady. For more information, call (518) 382-7890 or visit www.misci.org. The Tang Teaching Museum will be on hand to share some great art and help you create your own sculptural collage using world maps, 2 p.m. For grades 1 and up. Tweens, Teens welcome. Sign up online or call. Bethlehem Public Library, 451 Delaware Ave., Delmar. For more information, call 439-9314 or visit bethlehempubliclibrary.org. Also Wednesday. Join Diane Payette, local performer and educator for songs, stories, and activities to get your kindergartener ready for the big day, 10 a.m. or 1 p.m. Registration is required. Clifton Park-Halfmoon Public Library, 475 Moe Road, Clifton Park. For more information, call 371-8622 or visit www.cphlibrary.org. This year’s event highlights many of the wonderful community groups that help us build a better world! Meet their members, explore hands-on activities and get inspired. There will be face-painting, dancing, g a.m.es, bubbles and more, 4-6 p.m. Bethlehem Public Library, 451 Delaware Ave., Delmar. For more information, call 439-9314 or visit bethlehempubliclibrary.org. Master storyteller Tom Lee has spent the winter writing and tracking the adventurous travels of Frederic Church to craft an original story to tell inside the main house at Olana, 9 a.m. Free. Olana State Historic Site, 5720 NY-9G, Hudson. For more information, call (518) 828-0135 or visit www.olana.org. More than 40 artists and crafters fill Mabee Farm with eclectic, unique, and beautifully handcrafted items including jewelry, soap, pottery, wood carvings, textiles, and more, 10 a.m. Admission is $5. Mabee Farm Historic Site, 1100 Main St., Rotterdam Junction. For more information, email [email protected] or visit www.schenectadyhistorical.org. Watch “Babe” (1995) Rated G, 10:30 a.m. and 1 p.m. Proctors, 432 State St, Schenectady. For more information, visit www.proctors.org or call (518) 346-6204. A sensory friendly science center experience, 10 a.m.-noon. Cost is $5-$10 plus regular admission of $5 for children, $8 for seniors and $10 for adults. MiSci, 15 Nott Terrace Heights, Schenectady. For more information, call (518) 382-7890 or visit www.misci.org. Build a unique maze for a marble to go through, then drop a marble in and watch it work, noon-7 p.m. Castleton Public Library, 85 S. Main St., Castleton-On-Hudson. For more information, call (518) 732-0879 or visit www.castletonpubliclibrary.org. Read about construction machines, then see some real machines, courtesy of the Village of Castleton Department of Public Works, 10:30 a.m. Castleton Public Library, 85 S. Main St., Castleton-On-Hudson. For more information, call (518) 732-0879 or visit www.castletonpubliclibrary.org.